READ Pakistan proudly presents “BOOK TROOPS KICK-OFF”, the official launch of 1st International Teens READ Book Club by the name of “FANDOM CIRCLE” in collaboration of National Library of Pakistan on Sunday, January 13, 2019, at 11:00 a.m. The theme of the event was, BE a READER, BE a BEACON. Director National Library of Pakistan, Syed Ghyour Hussain, Chairman READ Pakistan, Mr. Farrukh Dall and Mr. Mazhar Shahzad Khan, world record holder cartoonist of PTV distributed shields and certificates among the moderators, organizers, and participants of the event. A tribute was presented to the Heads of their Institutions of Primary Educational sector (Dr. Shahida Naeem-The Play School F-8/1, Prof. Naeema Khattak-IMCG F-8/1), Director National Library of Pakistan, Syed Ghyour Hussain, Founder/Chairman READ Pakistan, Mr. Farrukh Dall in recognition of being a beacon in showing the way to become Junior Ambassadors, Ms. Hareem Idrees & Ms. Zainab Idrees of READ Pakistan and establishing a First International Teen READ Book Club by the name of “Fandom Circle” from the forum of National Library of Pakistan.The event was based on hands-on interactive activities comprising of four sessions. Mr. Umer Shiraz, Senior Policy Analyst Comsats University & Professional Futurist conducted a parent counseling session on “Perceptions of the future of Reading” with the help of Polak Game & Future Triangle. 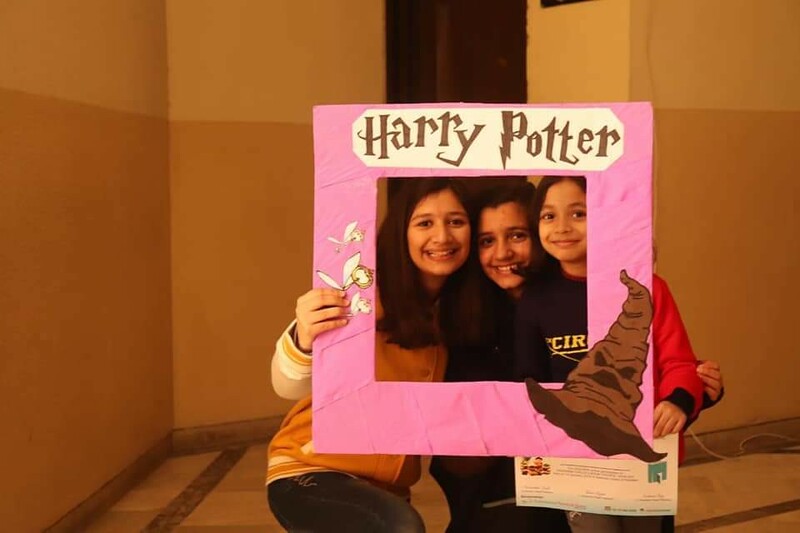 A session on Diversity and bullying comprising activities Storytelling, Cardmaking & Feeling recognition was conducted by Ms. Afreen Athar, Founder Happy Being/Child Psychologist for children. Mr. Zohaib Ahmed, Pakistan’s 1st young-adult author, Director Meraki Magazine conducted a writing workshop on “How you can improve your writing skills” for teenagers. Mr. Shahzad Ali, a motivational speaker, consultant & corporate trainer, conducted an interactive session for youth on “Books and young generation”. The session was concluded by Vice Chairman READ Pakistan, Sher Afzal Khan. We are thankful to Director National Library of Pakistan, Syed Ghyour Hussain, for providing us a platform to launch our book club and S. Tayyab Ahmed Madni and his team for organizing the event.